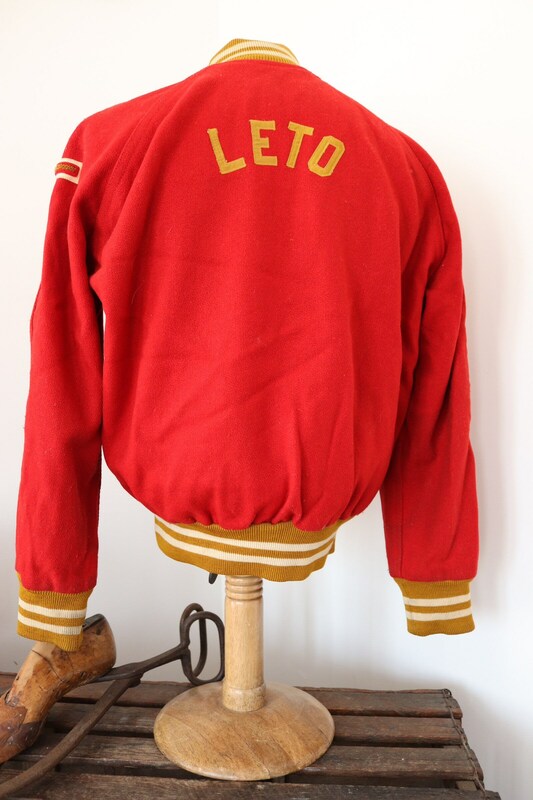 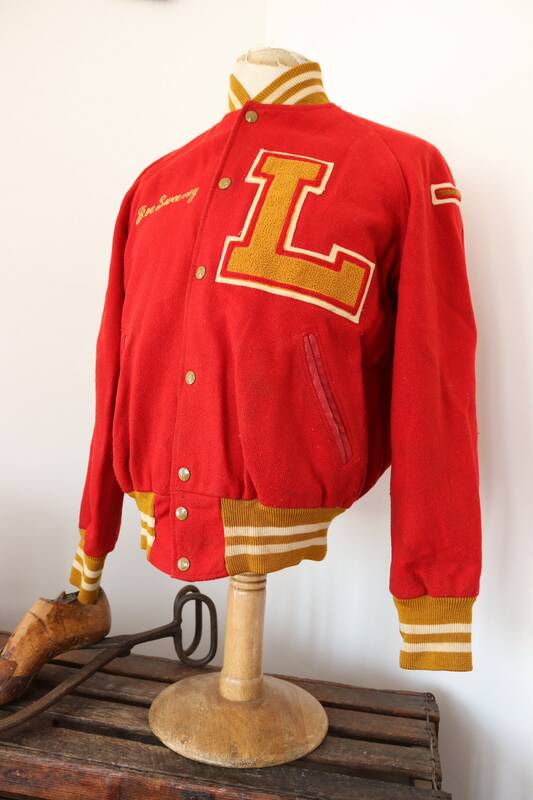 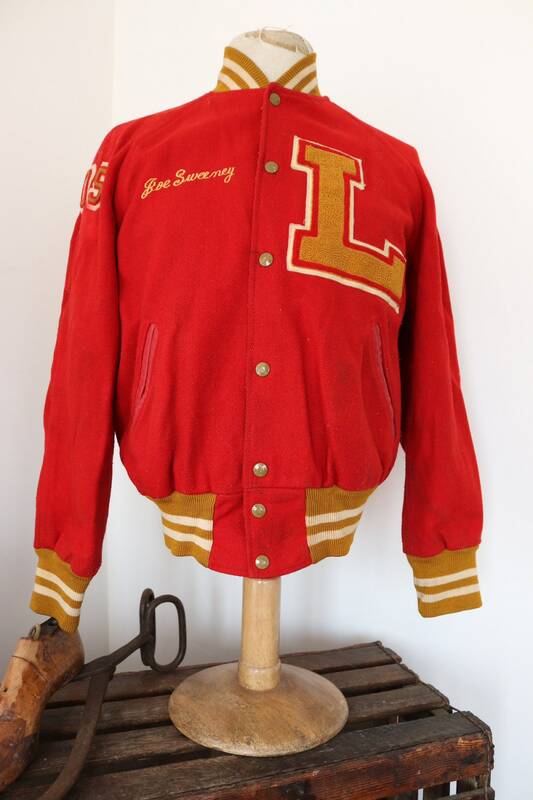 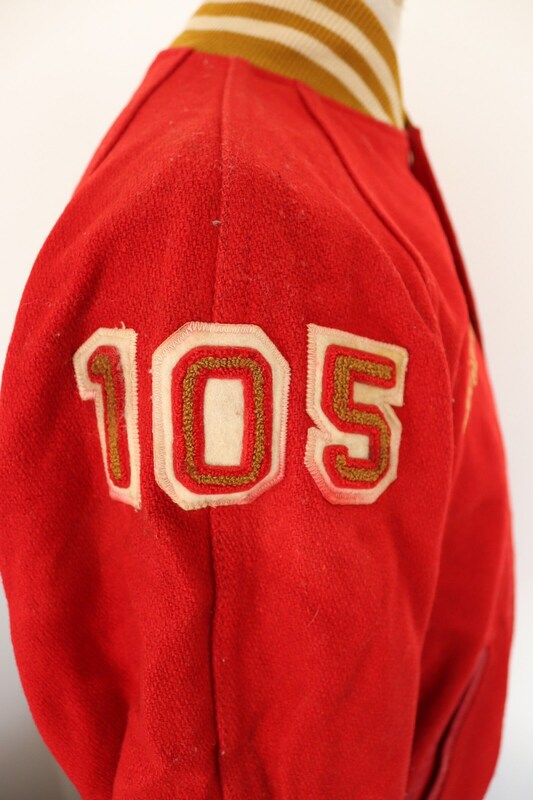 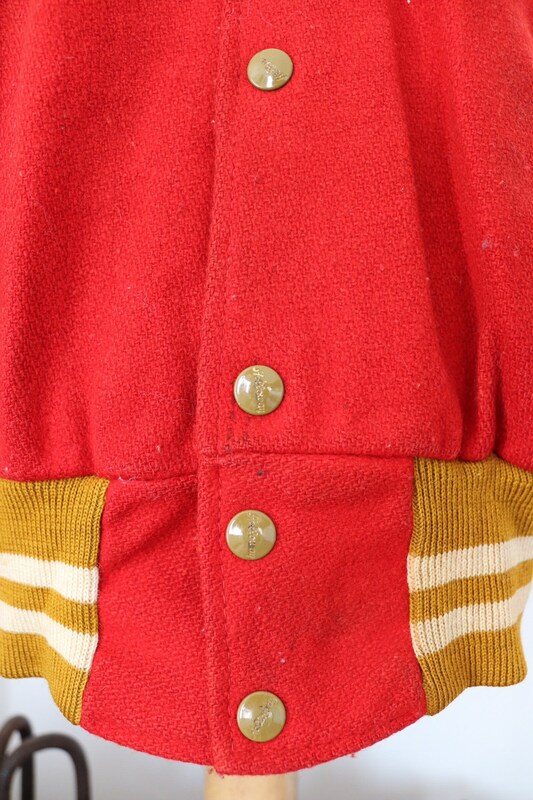 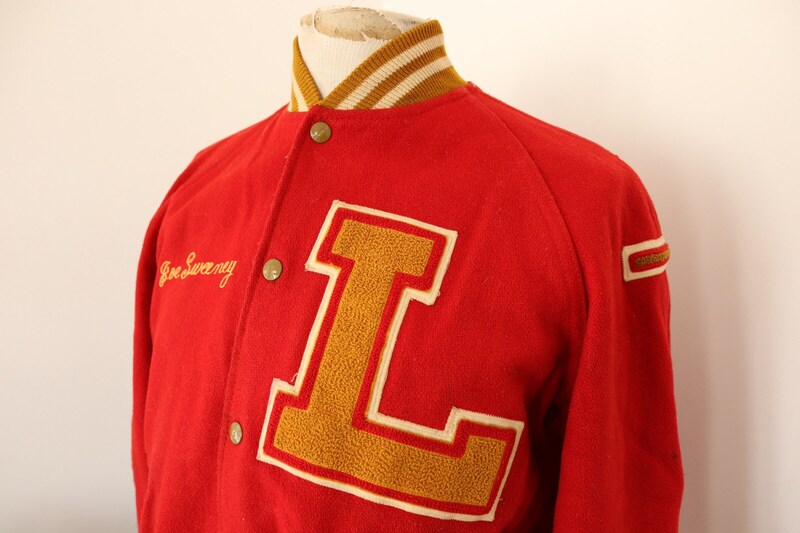 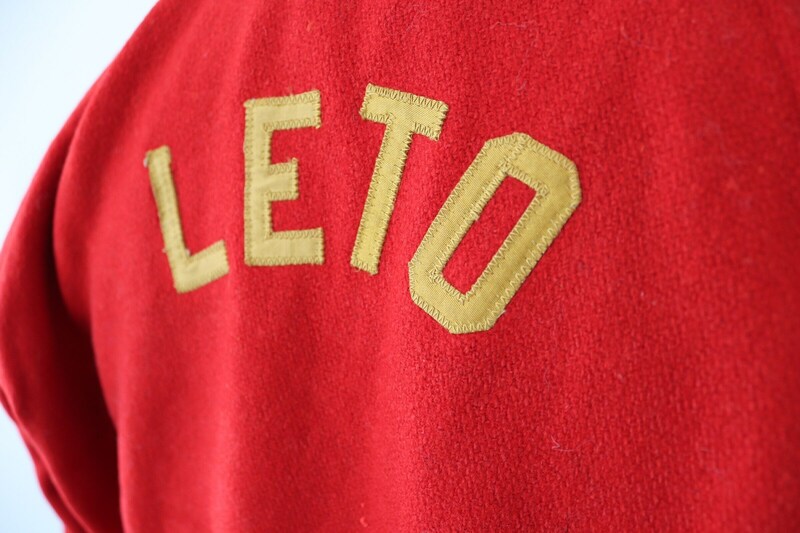 A red and mustard yellow varsity jacket by classic US sportswear brand, Holloway. 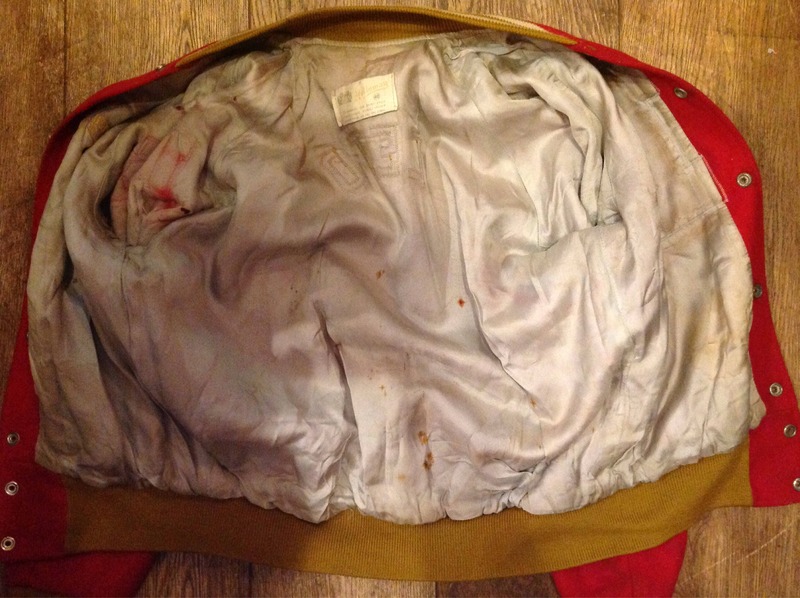 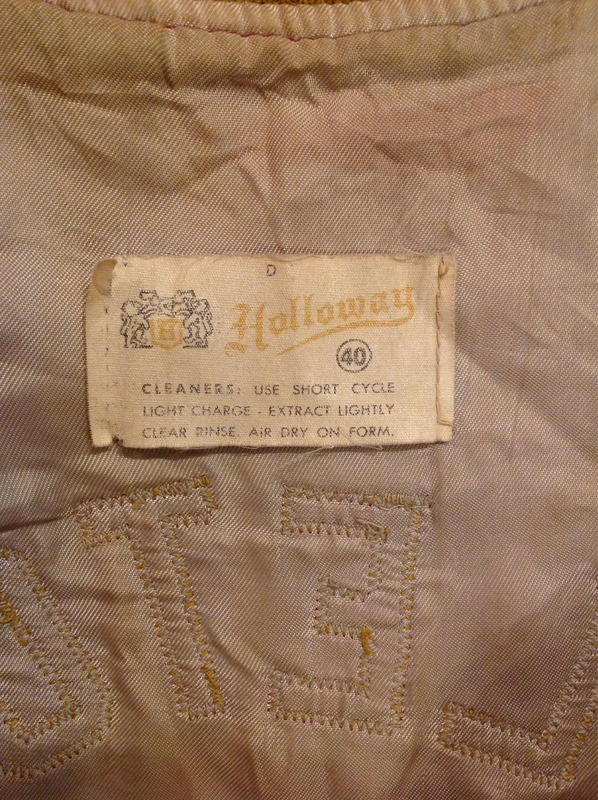 Noted flaws - the satin lining is rust marked and has some small tears, some of the snaps have rusted and although they work, are a little stiff to fasten, colour run on the 05 right arm chenille patch - please see photos. 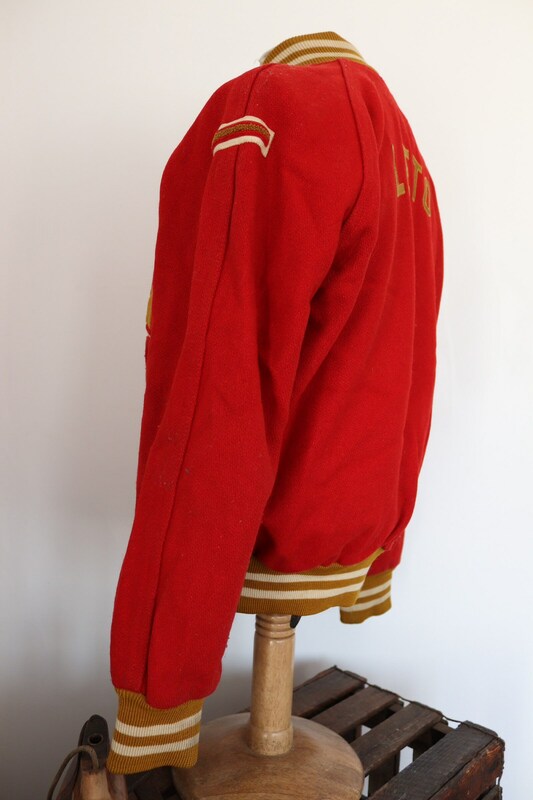 Wool body, leather edged pockets, L chenille patch, 'Leto' on the back, 'Joe Sweeney' stitched to the front, knitted cuffs, collar and waistband all in good condition with plenty of stretch left.